Hello, Babblings of a Bookworm readers. 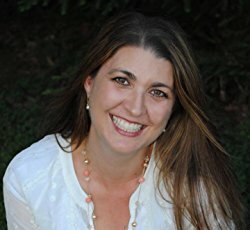 I am so grateful Ceri has allowed me to share an excerpt from my Christmas novella, “An Unexpected Merry Gentleman” with you this holiday season. It was quite a labor of love, attempting to complete it between the anthologies “Rational Creatures” and “Yuletide.” But, I succeeded in my endeavor––to make a light ‘frothy’ Christmas story one could curl up with under the covers in front of a roaring fire. Who doesn’t want to get lost in the pages with our favorite couple? And, who doesn’t love the holidays? Hot Cocoa, snow men and pine trees? Christmas means so much to so many, but hopefully it gives us a chance to slow down and remember what is really important––our families and loved ones. That is what “An Unexpected Merry Gentleman” is all about––how the love of families unites us and makes us the best version of ourselves. In the following excerpt, Elizabeth is able to see the love Mr. Darcy has for his sister. This affection compounds on the already new feelings Elizabeth is discovering while observing his interactions with her young cousins, the Gardiner sisters, Miss Victoria, and Miss Emily Gardiner. I hope you enjoy! The room erupted in laughter and Elizabeth was gratified to see Mr. Darcy joining in the joke. He shifted in his seat as all eyes glanced his way, before settling back on Miss Darcy. “You have not.” The look passing between them was of tender affection. “You make me quite envious, Miss Darcy. I have always wished for a brother to spoil me and protect me as yours appears to,” said Elizabeth. “I am beginning to think he is quite a thoughtful man.” Elizabeth looked at him with a twinkle in her eye, causing his breath to catch. Is that a hint of Elizabeth’s famous mixed signals/misinterpreted sighs and impertinent remarks? Perhaps Darcy is imagining things; perhaps Elizabeth has changed; perhaps there is more under the surface than we originally believed. 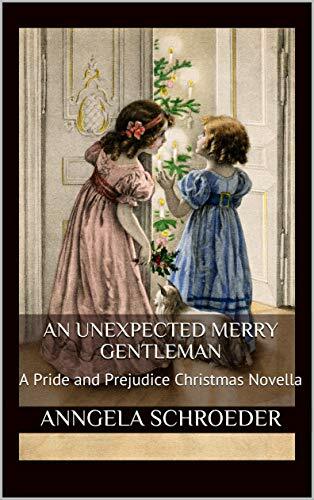 Whatever the truth may be, it appears Darcy might be an “Unexpected Merry Gentleman” after all. I do hope the excerpt has enticed you to check out the full novella of “An Unexpected Merry Gentleman” available on Amazon, and on Kindle Unlimited. I have also included the opportunity to win a kindle version of the book, which is open internationally. Comment to be entered to win. Have a Merry Christmas, and a happy holiday! Anngela has a degree in English with a concentration in British Literature and a Masters in Education. She loves to travel, bake, and watch college football with her husband of 18 years and 3 rambunctious sons. Her weaknesses are yellow cake with chocolate frosting, her father's Arabic food (namely grape leaves, and falafel), and frozen Girl Scout Thin Mints. She lives in California where she dreams of Disney adventures and trips across the pond. This novella is available to buy now, in both paperback and ebook format/ You can get it on Amazon UK / Amazon US / Amazon CA and elsewhere. You can also add it to your Goodreads shelf. As mentioned above, Anngela is giving away a kindle version of An Unexpected Merry Gentleman to an international commenter on this blog post. To enter, just leave a comment by the end of the day on Saturday 15 December. Please leave contact details in order that I can let you know if you are the lucky winner. Thanks Ceri for hosting. That was a delightful excerpt and I love the choice of cover for this novella. There is nothing like a Christmas story involving children. They are so adorable. I like the fact they are Gardiner children. I love M/M Gardiner. They are such special people to Jane and Elizabeth and their children are mentioned in many JAFF stories. They just add spark to the story. This novella sounds amazing. I have it on my wish-list. Thanks to our author for the generous giveaway. Good luck to everyone in the drawing. Blessings on the success of this work. I checked on Amazon and of the 5 reviews at this time 4 were 5-stars. Can't get any better than that. Congratulations. Blessings on the continued success of this work. Awww, that's so cute! Thanks for the post and the gieaway! I have always wanted an older brother, especially one who would spoil me. I have two as well, but there isn't much spoiling going on! Oh, this looks fun. Thanks for the preview and giveaway. Thanks for stopping by, Jen, and good luck in the giveaway. Such a wonderful holiday treat! Thank you, Brenda! That means loads to me coming from you! Merry Christmas! I love Christmas novellas! What a beautiful cover and excerpt! Thank you! Thank you for popping over here. Glad you enjoyed it! I downloaded this from KU and am reading it now...it sounded so delightful. Hope you're enjoying it, Sheila! That was cute! Elizabeth must surely be confused by who this guy is, compared to the one she knew before. I agree. I think she met him at a very bad point for him, after Georgiana's close shave, and when he was trying to be protective of Bingley, which brought his snobby side out to the fore. So true, Ginna! You hit that one right on the head! So glad you enjoyed, Denise! Thank you, Denise! I appreciate that! What a cute excerpt. The cover is adorable. Thank you for your generosity. Thanks for stopping by Deborah Ann, and good luck in the giveaway. That's an adorable and cute excerpt that you shared, Anngela. I think Elizabeth is beginning to fall in love with Darcy at that point. It was lovely, wasn't it! She sure is, but at the same time trying to “talk herself out of it”!